2. While helicopter money is either a one off or short duration expansion, it is a permanent expansion, of central bank base money. But we should not be confused about this. While the expansion of the money supply is permanent and the base money continues to circulate, the actual funding of families is either one off or for a short duration. Lonergan has called for 12 to 18 months, until the goals of the central bank are reached. 3. It is, after all, the answer to the zero lower bound, to deflation. Because it is a volatile policy if not done correctly, it should be used to get the economy off the mat and only during those times. It is a better plan than negative rates or a cashless society. 4. However, other economists believe that the actual money transfers, not just the circulation of transferred money, should be permanent in themselves. Lonergan opposes this, not being a big fan of market monetarist rational expectations. He believes central bank goals could be reached by a limited transfer, again, no more than 18 months in duration. MM's believe that people may not spend the money if they know the duration is short. Lonergan believes enough would be spent to accomplish the goal. 5. Helicopter money cannot be a loan, unless it is a loan in perpetuity, which is legal in the Eurozone. 6. Helicopter money is not a tax cut, although it could, in my opinion, be made more palatable being couched in the language of a tax rebate. But it is not a tax cut, which would make government funding diminish, which would hurt GDP. There is simply no need for tax cuts with this plan. He takes issue with Bernanke on this tax rebate issue and on a few other issues. Bernanke, then, appears to not grasp the difference between QE and helicopter money, any more than Kocherlakota seems to understand the concept. 7. Helicopter money, for Lonergan, is a straight up gift to the people in equal measure, with one person not gaining an advantage in the size of the transfer, over another person. 8. HM should not be taxed, because it is base money and is not a fiscal plan, but rather a monetary plan. 9. Monetarism is not dead, but QE is comatose at the zero lower bound. HM breathes new life into monetarism. 10. There are differing views about Helicopter Money and how it should be applied, by the economists who promote the idea, but all who understand it know that it requires the use of base money. There are links below to show the variety of ideas among those who have discussed the subject. 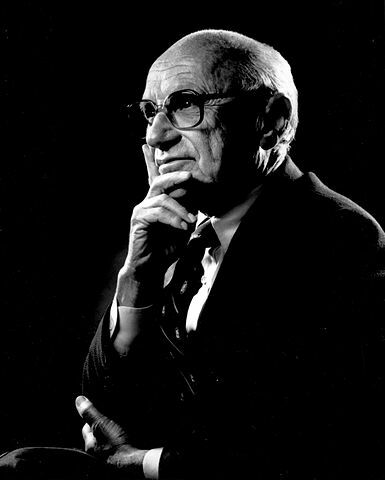 We can be certain that if two Fed presidents are unable to comprehend a fairly simple concept of helicopter money, that they may simply have a more sinister plan, and may have fallen in love with using the zero lower bound to impose future represive goals. There is simply no excuse for this, with the wonderful tool of helicopter money as a way for monetary policy to be implemented in a successful way.